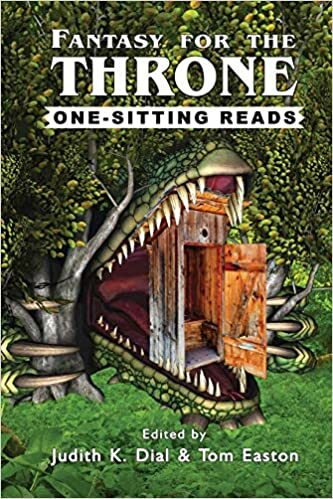 Fantasy for the Throne: One-Sitting Reads, edited by Judith K. Dial and Tom Easton. "Want something to read while you sit down for just a few minutes on the bus or in a waiting room? Here's just the thing -- Forty authors, forty stories, mostly under 2,000 words, mostly reprints. Grouped according to their themes--death, fairy tales, love, magic, and myth. You'll also find the usual suspects -- dragons, ghosts, gods, the undead, weres, and witches. "Just remember--one sitting, one read! Others are waiting!"